Any Tour Operator Service(s) provided by M/S HIMALAYA TREKKERS (same as Trade Name HIMALAYA TREKKERS) to you and for any other person booked/paid by you. The term ‘HIMALAYA TREKKERS’ or ‘HT’ or ‘us’ or ‘we’ or ‘our’ refers to the owner of the ‘website’ whose registered office is 16/B Swami Vivekananda Road, 1st Lane, Kolkata” 700032 and any Tour Operator Service(s) provided by M/S HIMALAYA TREKKERS [City Office: 68B, Raja S.C. Mallick Road, Baghajatin Mor (Bank of India Building), Kolkata: 700092]. 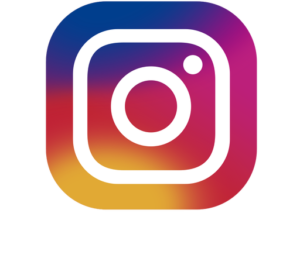 The term ‘you’ or ‘your’ refers to ‘user’ or ‘visitor’ of our Website and hereinafter any “Tour Operator Services” booked/purchased by you from the Trade Name HIMALAYA TREKKERS. For the removal of doubts, it is clarified that by using or visiting this Website or by booking/purchasing any Tour Operator Service(s) from HIMALAYA TREKKERS, you constitute an acknowledgement and acceptance of these Terms & Conditions. If you do not agree with any part of these Terms of Conditions then you may not access the Website and must not book our Tour Operator Service(s). The content of this website is for your general information and use only. It is subject to change without notice at our sole discretion. We make our best efforts to update the information from time to time basis. The materials on our website are provided on an ‘as is’ basis. The materials appearing on our website could include technical, typographical, or photographic errors. Neither we nor any third parties provide any guarantee or warrantee related to the accuracy, efficiency, suitability completeness, timeliness, likely results and availability of the contents at any given time. In no event shall we or our suppliers be liable for any damages (including, without limitation, damages for loss of data or profit, or due to business interruption) arising out of the use or inability to use the information or materials on our website, even if we or any of our authorised representative has been notified orally or in writing of the possibility of such damage. To send periodic emails: The email address Users provide for order processing, will only be used to send them information and updates pertaining to their order. It may also be used to respond to their enquiries, and/or other requests or questions. If user decides to opt-in to our mailing list, they will receive occasional emails that may include company news, updates, related product or service information, etc. If at any time the ser would like to unsubscribe from receiving future emails, we include detailed unsubscribe instructions at the bottom of each email or you may contact us via our Site. If you take any Tour Operator services offered by HIMALAYA TREKKERS then it is Mandatory to sign the Declaration Form/Indemnity Clause or you can download here. This is a must for all trekkers including alone and each individual person travelling in a group. You need to take a print of the form, duly sign and submit at the respective trek base. HIMALAYA TREKKERS has the discretion to update this policy at any time. When we do, revise the updated date at the bottom of this page,. We encourage users to frequently check this page for any changes to stay informed about how we are helping to protect the personal information we collect. 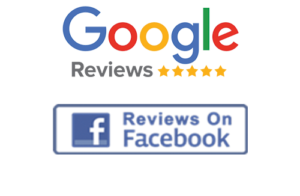 You acknowledge and agree that it is your responsibility to review this page periodically and become aware of any modifications.